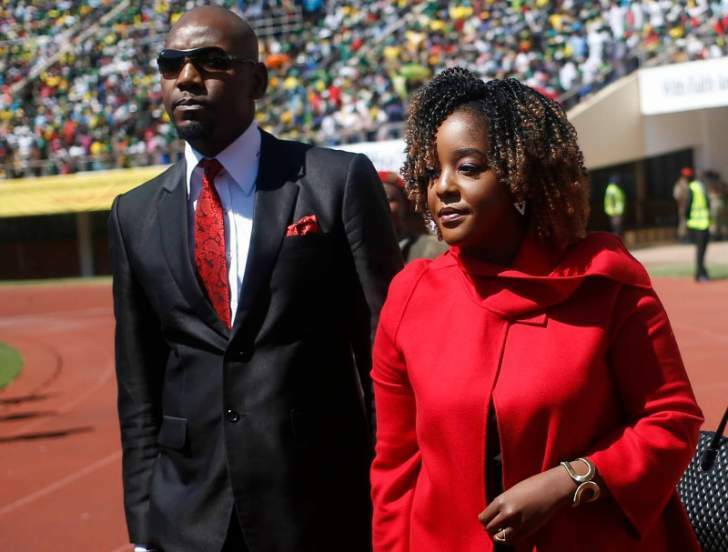 This is contained in revelations obtained by The Herald which highlight how former president Robert Mugabe's son-in-law abused his family ties to corrupt people - including Government officials - and processes while he ran the show between 2016 and 2017. This is despite that he would have got the funds - amounting to over US$50 000 - from the Reserve Bank of Zimbabwe. As of November 2017, the draw-downs from RBZ amounted to US$51 840 with more requested for December and January, documents in our posession show. "Engineer Martin Gwafa, Simba Mironga and Lawrence Mashoko were the engineers that had been maintaining the aircraft in Malaysia from June 2017 to April 2018," explained the source. "They were employees of Air Zimbabwe but Air Zimbabwe stopped paying their salaries as of December 2017 citing absence from work for a period without reporting for duty. "The crew were maintained by a monthly travel and subsistence allowance of US$288 per day from Zimbabwe Airways. Since they were no longer receiving a salary from Air Zimbabwe, the crew depended heavily on this monthly allocation," said the source. "This was irregular as the per diems for the ministry had to be done through Cabinet authority," the source said. Another source corroborated prejudice of the Malaysia-based workers. "They were told that it was top secret and that they were bound by the Official Secrets Act," he said. "They were afraid and would not even approach our embassy in Malaysia for help." The Herald understands that investigations into the shady deals involving Mr Chikore and the Zimbabwe Airways imbroglio are underway with dockets being prepared for prosecution, after being stalled at the Zimbabwe Anti-Corruption Commission whose top leadership was forced out recently to give President Mnangagwa's anti-corruption campaign a fresh impetus. The Special Anti-Corruption Unit (Sacu) is also keen to finalise the matter. "The whole deal involving the acquisition of planes from Malaysia and the Embraer planes that you wrote about will be examined, including going to ascertain with the government of Malaysia about the nature of the deals," said a source at Sacu. There are fears that the price of the planes bought from Malaysia and the United States - four Boeing 777-200ER and six Embraer-145 respectively - could have been inflated. Further, according to those with knowledge of the deals, the aircraft could still have been used elsewhere after the purchase by Zimbabwe, thereby prejudicing the country of large amounts of money. At the weekend, Minister of Transport and Infrastructural Development Joel Biggie Matiza said that Government was regularising acquisition of the planes. "The Embraer is on its way, as we speak and will arrive in the next two weeks," he said. "Government has also authorised payments of the outstanding amounts," he added.